One of the most underutilized but effective marketing strategies for freelance professionals is email. Most freelancers forego list building and instead focus their marketing efforts on SEO, blogging, social media, and networking. And while these are good and worthwhile strategies, without the email marketing component they can often fall flat at the final hurdle. That final hurdle is to get a wavering prospect or client to take a desired action – whether to simply make initial contact or to actually spend money. With email marketing, more intimate persuasive messages can be conveyed, right in the prospect’s inbox. Big businesses and marketing firms know this. It’s proven beyond all doubt that email is the number one way to close a sale, whether that’s as a solo professional or a big brand firm. So how exactly can email boost your freelancing business? Most people check their emails daily. 58% of your potential clients (stats) will check their email each morning, usually while still in bed. This is before opening any other app, such as social media. 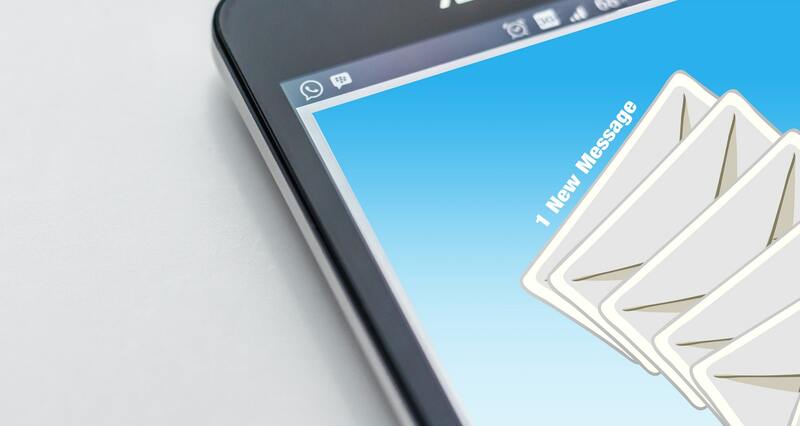 The rise of mobile has only increased the effectiveness of an email’s reach. By gaining a prospect’s or client’s email address you are given access to their most intimate of online spaces – their email inbox. Most of us check our inboxes multiple times a day and more likely to spot emails than we are fast-moving social media updates. A regular email sent to subscribers keeps you top of mind. It’s all too easy for even past clients to forget you exist after a while. For prospective clients, it’s even more important to stay in touch. Email marketing allows you to nurture a relationship and create a bond over time, where it matters most. When it comes time for the client to need your freelance services, they’re more likely to think of you, rather than seek out another random non-emailing freelancer elsewhere. The more frequently they see your messages in their email inbox – as long as they are engaging – the more they will associate your name with trustworthiness. Email hits right into the heart of your subscriber’s awareness. As previously mentioned, we all check our emails at least once a day. We receive emails we subscribe to without needing to go out searching for the content. They land in the cyber equivalent of our laps. Blogging and social media, on the other hand, require the reader to actively seek out the materials. By default, emails improve the visibility of our marketing and sales messages, which are strengthened over time by familiarity and likeability. It’s easy to forget a freelancer’s blog exists, unless we are constantly reminded, and this is where email newsletters can help. The most powerful factor of regular emails is the sales power. An email is the closest part of a sales funnel to the actual sale. It’s much closer than a blog post. It’s often from an email we make a final buying decision and take the required action, especially when it comes to services. Powerful sales emails – such as those in an autoresponder sequence – can bring in not only extra clients and but also more product sales (for freelancers who create their own products). Email marketing goes hand in hand with well-written sales pages. After building a relationship with a prospect, in their email inbox, you can then direct them to a sales page on your website which seals the deal. There’s a greater chance of a warmed prospect making contact with you, than a cold one. It can take multiple touchpoints with your brand before a potential client decides you’re their best choice. Repeat business is the holy grail for successful companies, and this applies just as much to solo-professionals such as freelancers. Repeat clients not only spend more money with their trusted freelancer but are also easier to sell to. They already know what you can do and, hopefully, they like you. But still, they need to be reminded of your existence. People are busy, especially in the B2B world, and it’s very easy for months – even years – to pass by without the need for your services. Regular emails keep these past clients in the loop and put you top of mind for when they eventually need your services again. As long as your email content is interesting, helpful, and even entertaining, they’ll remain subscribers. Email marketing is widely neglected by freelancing professionals, especially those who constantly struggle against the feast and famine cycle. While email list building is not necessarily a short term solution to a lack of good clients, it certainly does come into its own in the medium to long term. The sooner you create an email list of permission-granted subscribers, the sooner you can enjoy the benefits listed above. You’ll have dozens, if not hundreds, of warmed prospects and previous happy clients ready to instantly contact en masse whenever you need to fill a gap in your work schedule (essential for a healthy cash flow). Email software is very affordable. Writing your own emails is free. The results can be extremely lucrative indeed.